A noon for wild men, wild thoughts, wild love. In my country, summer is the season of dreams. As the languid afternoon shudders to a halt just before it morphs into the sweltering heat of the grey evenings, time passes by in slow motion and one can not but dream with open eyes. Dreams that linger on the border between reality and illusion. Dreams that shimmer in the distance like mirages and lure their unsuspecting victims into believing that even fantasies can be real. Dreams that seem to be the illegitimate offspring of nostalgia, hell bent on depriving you of your peace of mind at the slightest hint of weakness. And just like that, reminiscent of little children colouring outside the lines of figures in their drawing books, these dreams often come to occupy the stagnant reality of my country’s summers. This one is about those dreams, about the days of being wild. In summer, extended cricket matches litter the roads of my country. Photograph by Marc Smith. In the company of some upbeat radio jockeys at All India Radio, I have often gazed idly at my diligent ceiling fan and walked through corridors of the past on such afternoons, the warm breeze outside gently unsettling the light coloured curtains in the room. It’s as dull as it probably gets and time seems to dilate in order to accommodate the lonely hours. If one cares to snap out of the reverie and look outside the draped windows, past the daffodils or the daisies, one can probably see the kabaadi walla making his weekly round and announcing his presence to all and sundry in his harsh, grating voice. The newspapers haven’t already been given away to the maids and the gardener to keep their nights warm. So I call out to him and haggle with him, both of us trying our best to swindle the other, till the sweat on his dark brown skin shines with the silent parsimony of it all. When all is forgiven and forgotten, I fetch him a cool glass of water and make my peace with his kind. He smiles and lets me know we are even. In my country, summer is the season of love when couples seeking shelter from the moral police can be found crouching under the shade of the huge banyan tree in Nimbu Park. They wait for the hassled hawaldars to give up looking for them and then spend their time holding hands and making promises late into the long sunset. There is love in the sigh of defeat escaping the lips of truant kids who, having waged an impossible battle against the lethargy of the afternoons, finally slink into their mothers’ arms and sail away to the land of warm sand and blue seas. And then there is the heartbroken lover who, having had his affections spurned, sits down to write that one last letter, the sweat persistently clinging to his half-naked body and somewhat artificially electrifying the apprehension in the air. 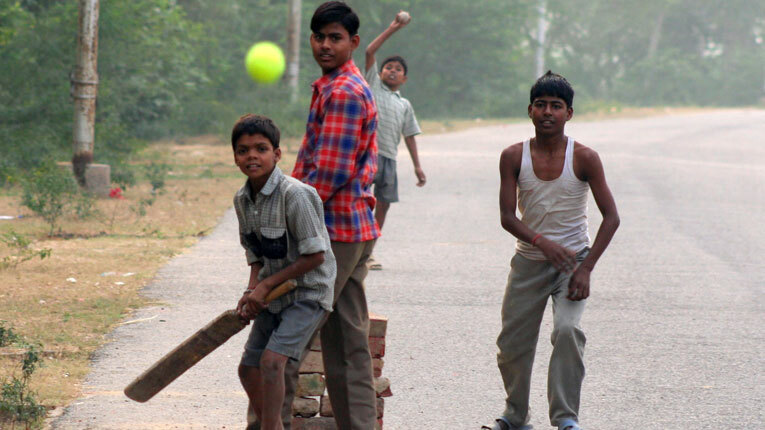 Extended cricket matches litter the roads of my country as boys get to stay out late, with the greyish blue evenings steadily encroaching upon the territory of the night. “No more of the four-over-a-side nonsense. We now get to play 10-over matches”, a young enthusiast beams at me as he marks his run-up. Summer weddings are the time for nightlong antakshari sessions when the baraatis, finally fed up of the inefficiency of the table fans, sing suggestively lewd songs over umpteen glasses of Rooh Afza and Shikanji. In a land of extremes where competition is rarely encouraged but often necessary for survival, summer is simultaneously the time for aam panna and O.R.S. 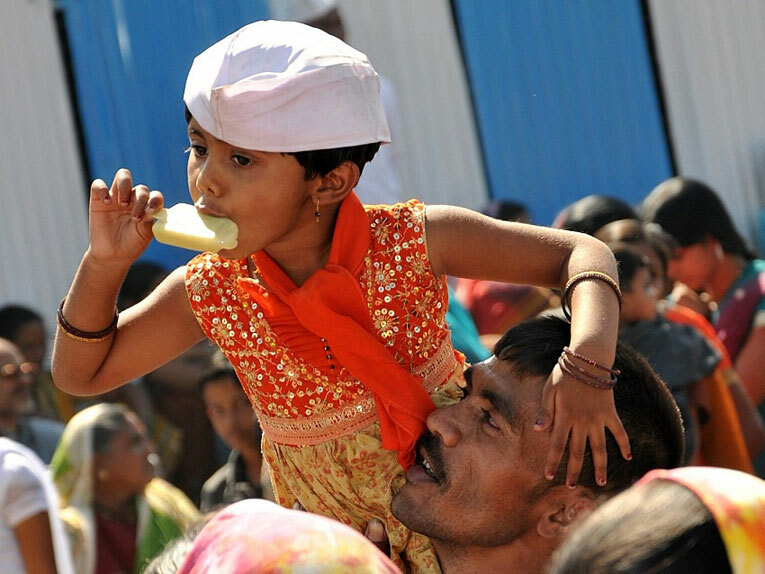 ; Anandi Water Park and cholera epidemics; stunted appetites and extra helpings of special falooda kulfi; abundance and famine; love and betrayal; denial and hate. In my country, summer is the season of expectations as groves of mango trees groan under the weight of their fruit, listening intently for that first tropical monsoon thunder that’ll let them shed their delectable burden. It is that time of the year when office goers returning to their homes curse the wretched heat under their breaths everyday and wish for the welcome respite of my country’s monsoons. I know of wise men that gather round in circles and predict the dates of the first showers, their lackeys nodding in sagely comprehension as they comment on the direction of Purabiyas and what not. There is expectation in the eyes of ice cream vendors who can be seen paddling furiously, their bicycles covered with dust of the roads, in absolutely deserted neighbourhoods in the hope that children forced to stay cooped up inside their homes will somehow convince their somnolent mothers to buy them that delicious dollop of delight. That delicious dollop of delight. Photograph by Adarsh Upadhyay. As Holi formally heralds the end of winters through colours and gaiety, students all over the country wait with bated breath for the dreaded Board Exams. Multicoloured report cards and grade sheets decide the fate of mute spectators as some of them crumble into a mess of indignity and dejection while others rejoice life’s unlimited possibilities. Possibilities also abound for masked members of the Kachha Banyan gang who go about their business at night, knowing very well that the din of ceiling fans and noisy crickets will probably drown their ruckus. In case it doesn’t, they will probably beat the unfortunate residents to a pulp, sometimes for as little as five hundred rupees. But if the goons are unlucky, there might be a load shedding in the neighbourhood and everyone will have come out to the terrace to grab a piece of the sultry summer air. Like I said, summer is the season when possibility often trumps over probability. In my country, summer is the season of winds when the evil Loo blows in from the distant and dry Thar, the land of the hardened Rajputs. Gathering up dust and vengeance as it sears across the plains, it has slain many a brave men who fought gallantly against its malevolence. So mothers are now content with stashing away onions in the pockets of their unruly children who, in their foolish ignorance, seek to challenge the might of it. When the same wild brats grow old and become wise like I have, they realise how rebellion and wisdom often go hand in hand. Summer incites rebellion and hatred in me as I walk past the home that could have been mine. The hot heat of the sun brimming viciously in my eyes, I lick my dry lips and wipe the sweat off my brow, before moving on, vowing vengeance and retribution for no apparent reason. As mutiny and mistrust simmers in each one of us during the course of these angry days, men of reason wait with baited breath, fearing the cause more than the effect. We do not live in an age of revolutions anymore. But if we did, summer would be the time when pent up emotions and resentment well up within us to the point of eruption. We wish it wouldn’t happen; but the magma that seethes inside so many of us will eventually find its way out, burning everything in sight and necessitating a fresh start. A new beginning of sorts. But in my country, summer is also the season of long nights with clear skies when you can see the stars twinkle knowingly as a long lost memory of your sweetheart suddenly shines through years of oblivion and neglect. The leaves rustle in rhyme as a sudden gust of cool, refreshing wind finds its way from distant lands and rejoice in the simple beauty of the moment. So yes, in my country, summer is the season of dreams. In my country, summer is so often the reason for dreams. From the first line, you know you’re in for something special. This was beautiful.